A glowing pick for special occasions, these Lizzie Fortunato earrings will highlight the night. 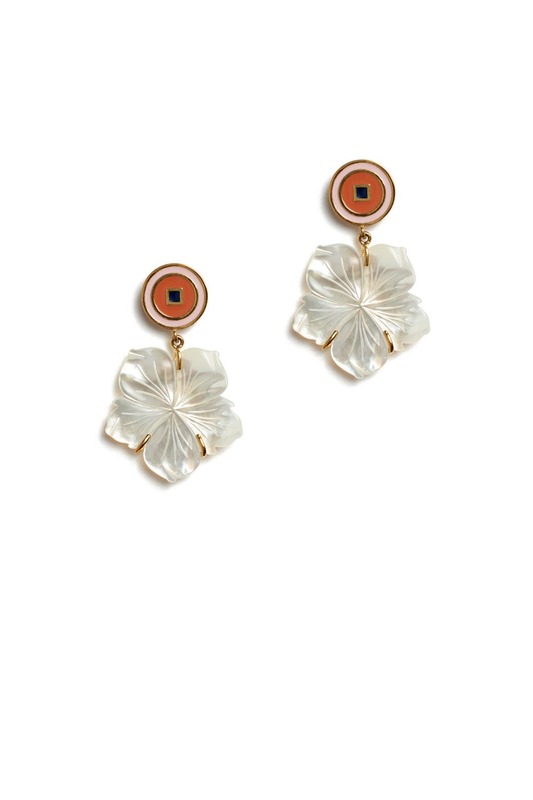 18K gold plated drop earrings with enamel studs and mother of pearl flower drops. Post backs for pierced ears. 2.1" long.